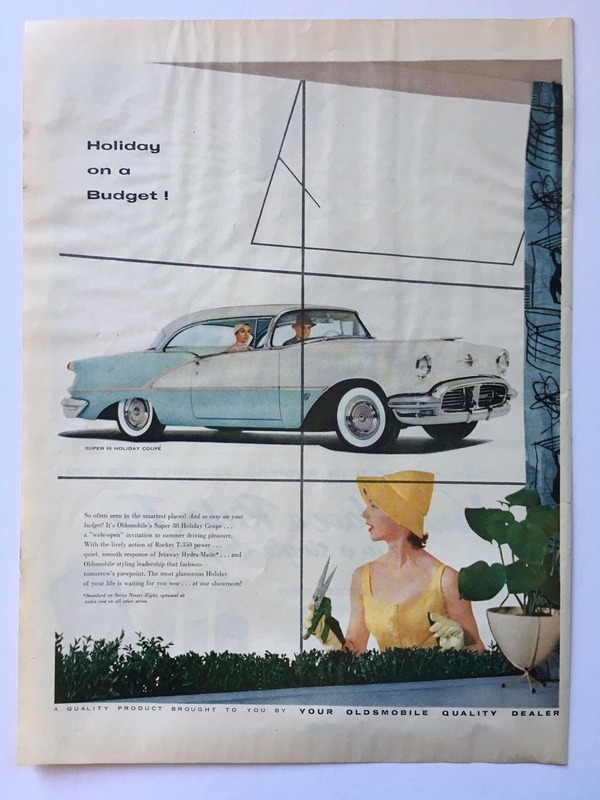 This 1956 Oldsmobile Super 88 Holiday Coupe magazine ad just shouts Classy! I has a Mid-Century Modern feel to it with the ad design and other elements in the image. 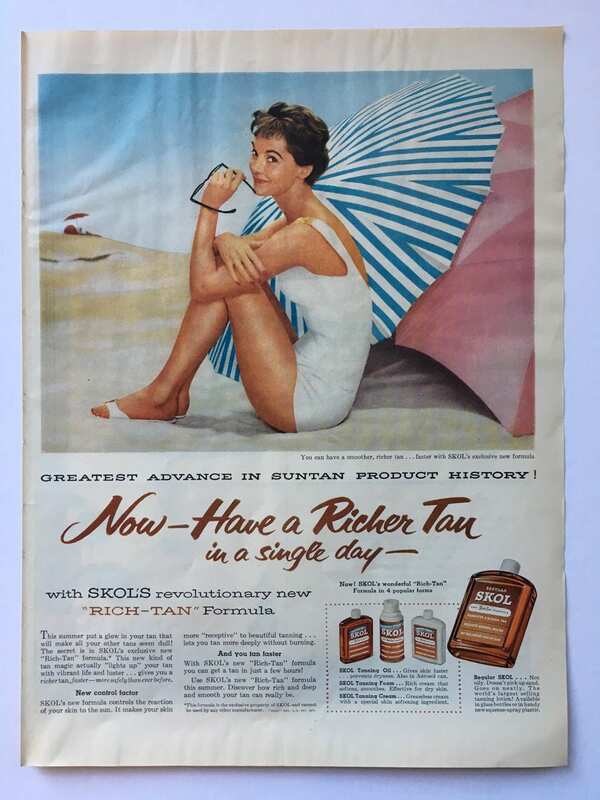 Sometimes it is hard to choose which ad too offer, and with this one you also get a second cool ad from on the backside from Skol Suntan Lotion which features a lovely young lady out sun bathing on the beach. Take your pick of which you want to display! The paper is in fairly good shape for it's age. It shows the usual slight yellowing and minor dings on the edge, and there is slight waviness to the top part of the paper (probably how the magazine had been stored.) The colors look great in-person! This is an original ad from a 1956 magazine and not a reproduction. This item ships flat in a sturdy mailer. The ad itself is in a plastic sleeve with chipboard backing. Size is about 10" x 14". If buying more than one, feel free to contact me to see if combining shipping will be more affordable.